Tim Burton has been in the process of adapting the crazy popular children’s book by author Ransom Riggs, ‘Miss Peregrine’s Home For Peculiar Children’to a feature film. He’s given us another trailer to build the excitement for the film’s debut on September 30 and I can’t wait! 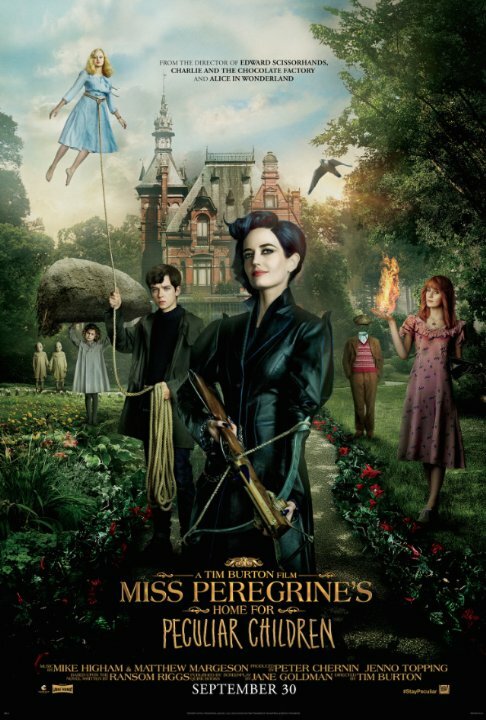 This book is amaze-balls and seeing Eva Green as Miss Peregrine and Asa Butterfield as Jacob is perfection! This entry was posted on Monday, June 20th, 2016 at 11:13 am	and is filed under Books, Film, News. You can follow any responses to this entry through the RSS 2.0 feed. You can skip to the end and leave a response. Pinging is currently not allowed. « Film Review: ‘Daddy Don’t Go’!